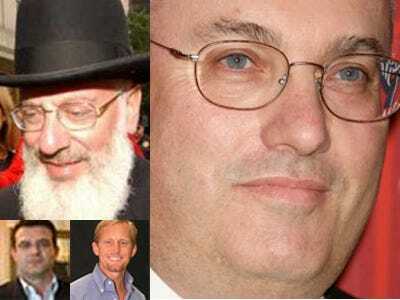 The rabbi who tried to blackmail Steve Cohen and get in on all the FrontPoint insider trading fun, was sentenced to four years in jail today, the New York Post reports. And in a very rare move the judge even ordered Rabbi Milton Balkany to be locked up instantly because she was “seriously concerned” he might try to run if he was allowed to remain free on bail. As a reminder, Balkany tried to extort SAC Capital out of $4 million by claiming he would help them cover up insider trading allegations. (He also claimed during his court case that he knew of insider trading in the FrontPoint-French doctor scandal, but that’s not why he’s going to jail). In the judge’s opinion, Balkhany should have been locked up for longer. “The lack of contrition, remorse and acceptance of responsibility, in my mind, is profound,” she said. But [Judge] Cote cut Balkany a break from sentencing guidelines that recommended at least seven-plus years behind bars, citing his “lifetime of good works” and the “generosity of spirit” attested to in 87 letters of support.